The removal of 30 concrete tiles this month from the Harborside Parking Garage downtown got me thinking about the gritty building itself. Most of you will recall Ron Sher, the prominent Puget Sound developer who’s turned aging malls into vibrant shopping centers, bought the garage in 2007. 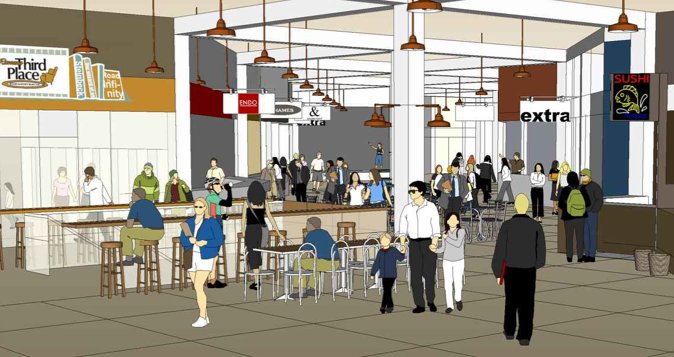 He’d planned to build apartments, a workout facility, bookstore, commons area and other amenities at the spot that may always be known as the Old JC Penny’s building. So far, those plans haven’t materialized. They were certainly ambitious. 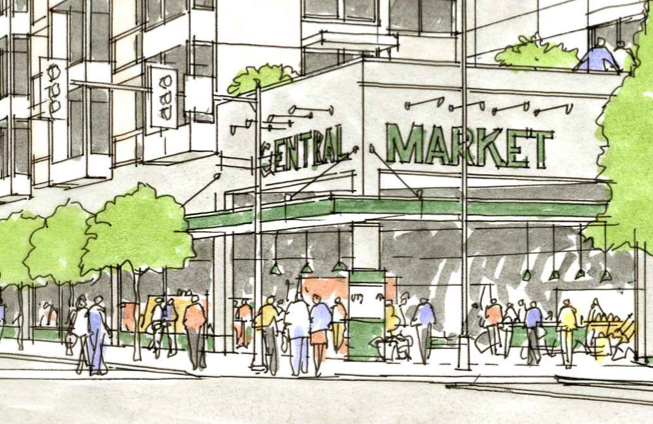 Artist renderings (pictured) show lots of gathering places, apartments reaching into the sky, and a central market. 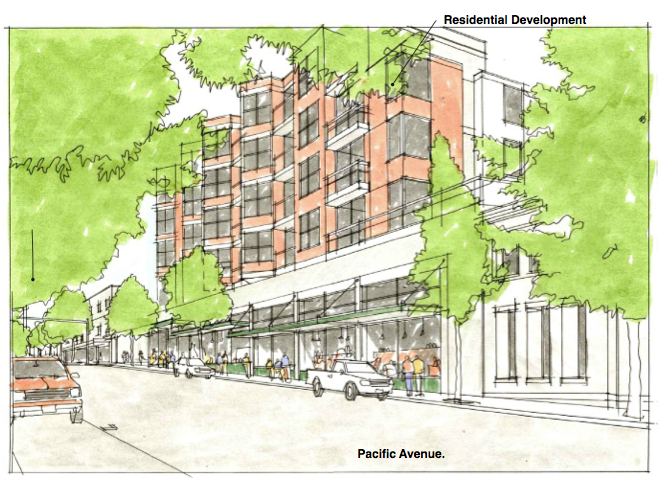 While those renderings exist only on paper, Sher and an architect will tour the garage next week, designing a new facade for it to replace the tiles. I’m told it will look much better and the removal of the 32,000 lbs. tiles would make it easier to construct apartments on the roof. 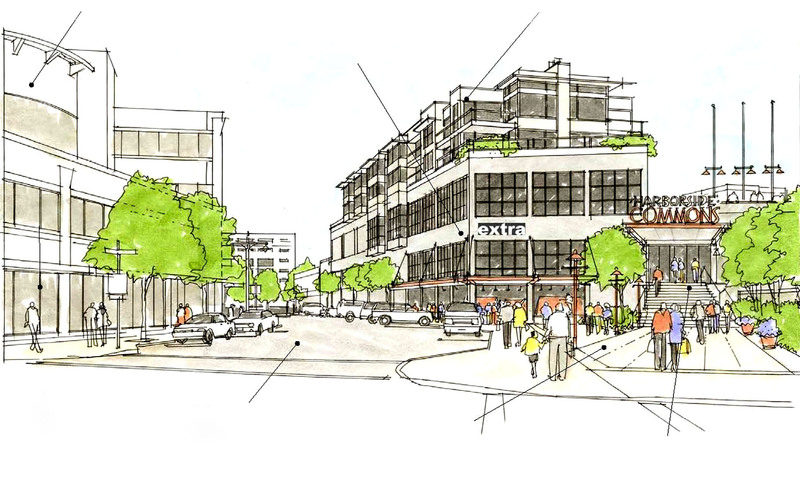 Though a bigger project remains elusive, Sher hasn’t held back on other parts of downtown. He bought the former Westsound Bank building from the city for $910,000 and ultimately turned it into the Bremerton Bar & Grill. Chuck Henderson, his local property manager, is still in talks with developers and grocers about prospects for the old Penny’s building, as well as other spots Sher’s purchased downtown. I’d say stay tuned.